Join this full-day tour visiting the Sete Cidades volcanic crater with its beautiful blue and green lake and others amazing view points. Stop for lunch (included). In the afternoon visit the top of Lagoa do Fogo mountain with an amazing view above the lake, and the north and south shores of the island. Depart from Ponta Delgada for a full-day tour of a visit to ceramic factories, with stops at viewpoints in Caloura, Vila Franca Do Campo and Furnas. Visit the Furnas lake and the hot springs. Lunch in Furnas town with typical Portuguese food (Cozido). 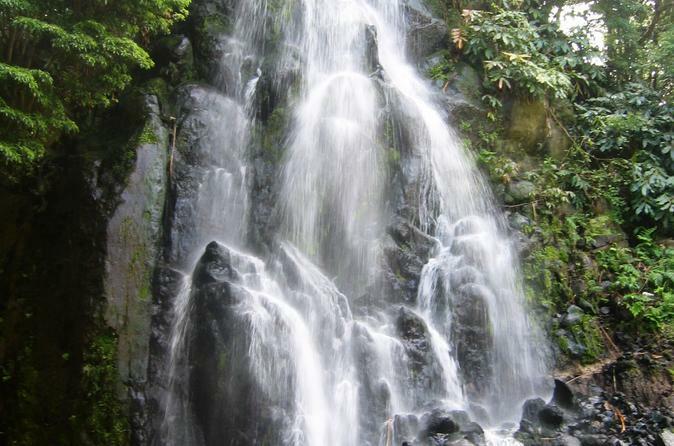 In the afternoon, taste the mineral waters and visit more hot springs. Visit the north shore of the island, stopping at the viewpoints, visit the Tea Factory and the Ribeira Grande City with its beautiful architecture. Return to Ponta Delgada. Explore 7 Cidades e Vista do Rei, the most famous viewpoints of Sete Cidades, Portugal. Spend a half-day overlooking the crater and south coast of the island, and the famous blue and green lakes. 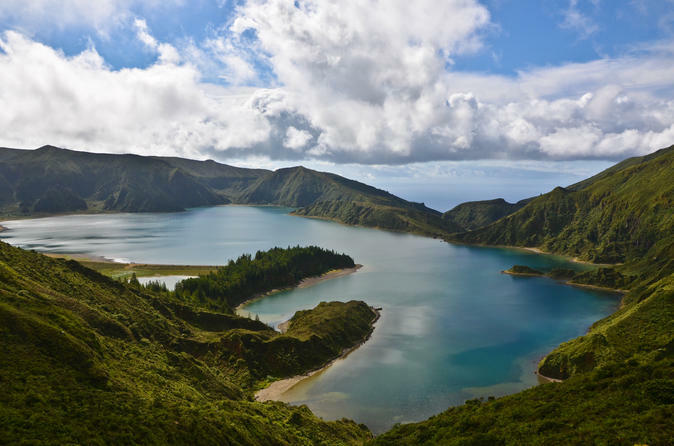 Explore Portugal's great outdoors in this full-day tour of Nordeste in Azores. This small group tour is perfect for enjoying nature in its purest state. On this tour we visit beautiful gardens, viewpoints, natural parks and waterfalls located in the South, East and North part of the island of São Miguel. Furnas is one of the most famous beauty spots on the island of São Miguel with a history of volcanic activity has left a legacy of particularly impressive natural geysers, hot springs, calderas and fumaroles! 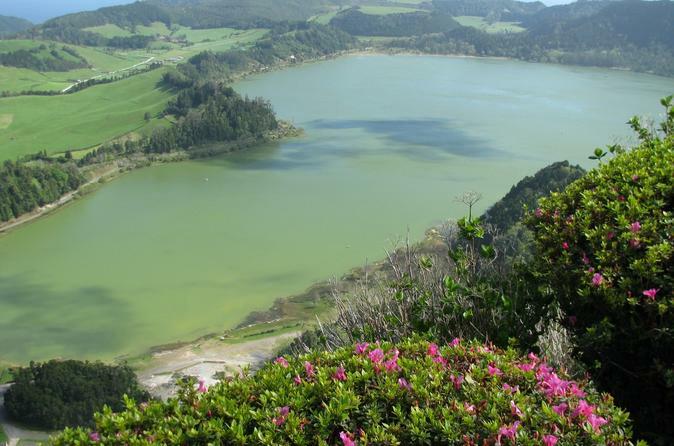 The Furnas lake and its geysers are surrounded by lush nature, form a picture. 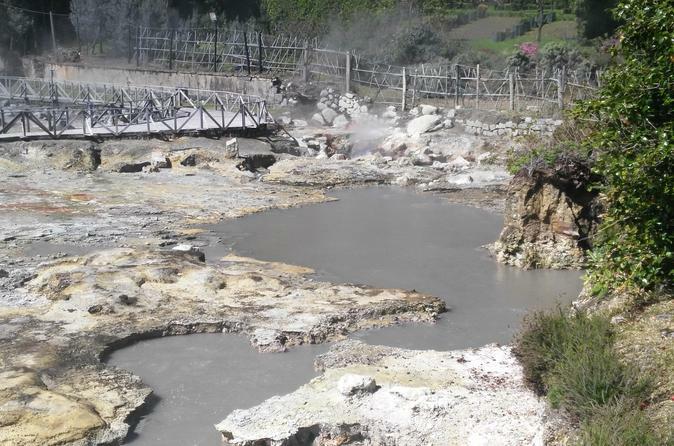 Lunch will be served at a traditional restaurant where you can try the famous "cozido" which is cooked by the heat of one of the Furnas fumaroles! 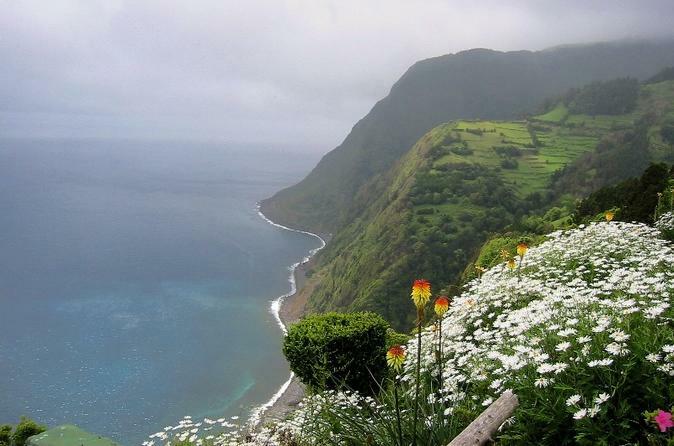 On this route we will also visit a number of locations with stunning landscapes and unique and intriguing features, such as Vila Franca do Campo, where you can see the famous islet, a tea factory and there will be time to admire the breathtaking views from many viewpoints. 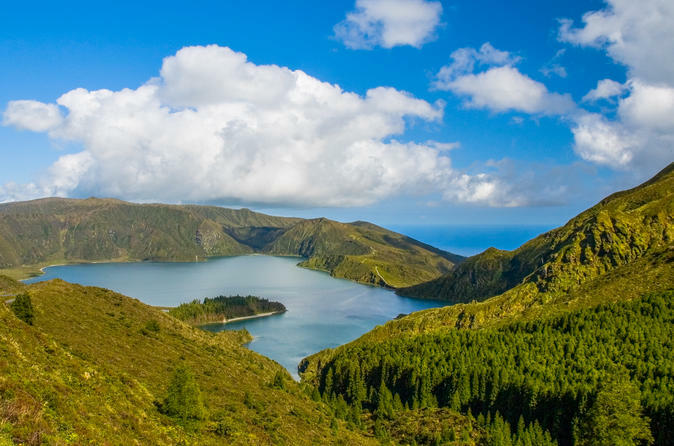 See the sights of Azores on your stop in Ponta Delgada on this rugged tour of the natural outdoors. 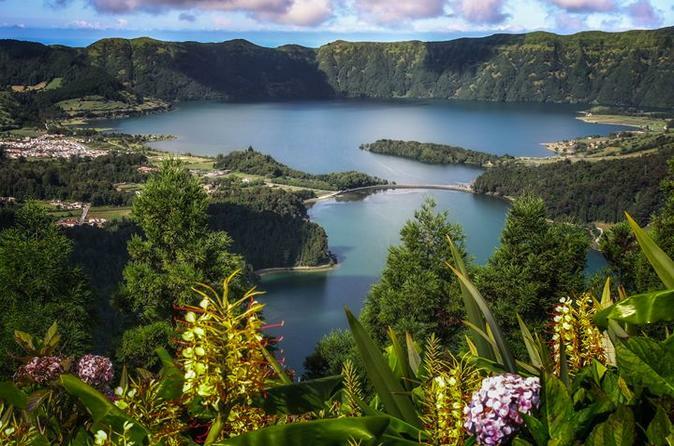 Choose between shore excursion to Sete Cidades, half-day tour to Furnas and half-day tour to Lagoa do Fogo. Once you are picked at the pier, get ready for a half-day of exploring. 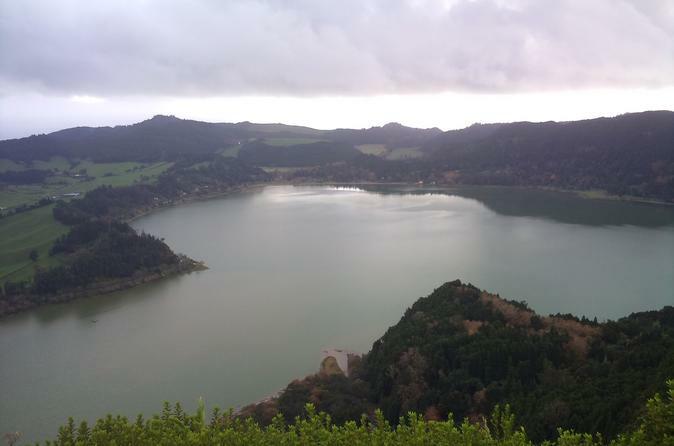 You can choose from three tour options, each with its own destination: Sete Cidades, Furnas or Lagoa do Fogo. The Nordeste (North East) is one of the less known destinations however considered one of the most beautiful areas of the island. Have the complete scenery of the island of S. Miguel. Enjoy the hills of pasture and the views over lakes and see. Visit a tea factory. Taste the mineral water and have a nice typical lunch – the Cozido das Furnas – a meal cooked underground. In Furnas we have the biggest fumaroles and hot spring of the Azores. After this, still time for a visit in the most beautiful garden of the island and enjoy a nice bath in the thermal pool of Terra Nostra Park. 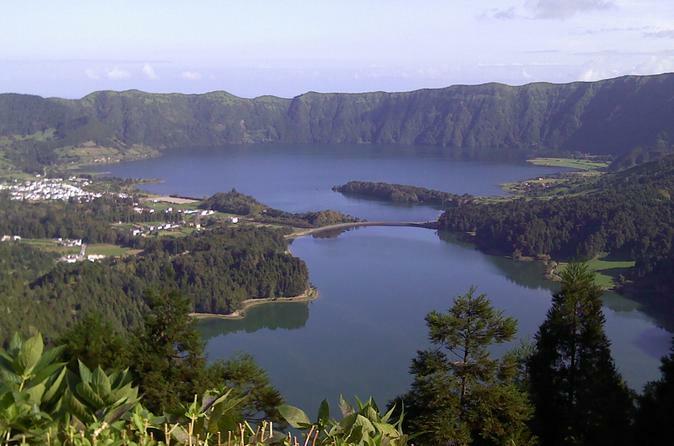 Embark on an adventurous half-day tour of Lagoa do Fogo with a private guide. See marvelous areas such as Caldeiras da Ribeira Grande and Pico da Barrosa, the highest point of a mountain. Finish the tour with a tasting of delicious and exotic fruity wines before being transported back to your hotel or cruise ship. This is an all-inclusive full-day tour to the Eastern side of São Miguel, including Furnas, Vila Franca do Campo, Tea plantations and Ribeira dos Caldeirões. Lunch is included and is the traditional cozido cooked in the volcanic soil. Entrance to the Dona Beija thermal pools also included. The tour includes observing the volcanic hot springs, the beautiful Furnas crater lake, the relaxing thermal baths, eating the famous cozido slow cooked for 8 hours, tremendous views across Furnas Valley and a visit to the tea plantations/factory. Personalized attention only possible in a small group. Expert guide to answer all your questions throughout the day.